Eliminate The Muda! - Where we prove that it is easier to save a dollar than to make a dollar!Eliminate The Muda! As cliché as it may sound, there are many steps you can take to save hundreds of dollars on your car insurance. In fact, many people are surprised to learn that this is a simple process. Upon realizing just how much they can save, they look back and wonder why they had been paying so much for so many years. This is by far one of the best ways to quickly lower your car insurance premium. Unless you currently have the highest deductible allowed by your insurance company, you are automatically qualified to make this move. For a better idea of just how much you can save, contact your agent and ask them to provide you with quotes for varying deductible levels. Keep in mind that raising your collision deductible will likely save you more money than simply raising your comprehensive deductible. It is safe to assume that you are presently receiving at least one discount off the cost of your policy. But does this mean that you are getting all of the discounts that you qualify for? 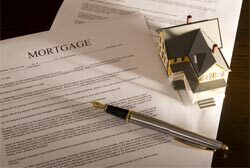 To ensure that you are saving as much as possible, discuss your policy in detail with your agent. Ask them to explain which discounts are currently applied to your account, and from there, request that he or she review your policy for any others that you may qualify for. You may be surprised at how many discounts your agent discovers. Do you really want to resort to this tactic? Well, it all depends on how badly you want to save money. Your car insurance agent never wants to hear that you are considering switching to another company because their rates are too high. You should not be rude to your agent – just make sure you are clear that your current premium is too high. You may be surprised at how quickly your agent brainstorm sways to save you money. If you really want to improve your chance of getting a better deal, present your current company with a quote from a competitor. This way, you can have concrete proof that better rates can be found, and that making a change will allow you to save money. 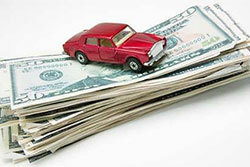 Car insurance is a necessary expense, but this doesn’t mean you can’t find ways to save as much money as possible. If there is any way to save money on your premium, you should strongly consider it. With the help of the tips above, you may be able to save hundreds of dollars immediately. What other ways can you suggest to save money on car insurance? Even if you have health insurance, there may come a time when you face a hefty medical bill. And for those who do not have any coverage, these bills are all too common. 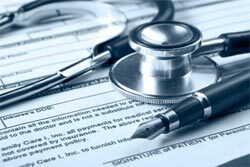 While it can be disheartening to receive a large bill for medical service, you don’t necessarily have to pay the full amount that is due. It is possible to negotiate a bill from a hospital or doctor’s office – you may not always be successful in attempts to lower the amount due, but it is always worth an attempt. Unfortunately, unless the billing office is located in your area, you will not be able to pay in person. With many medical facilities, especially larger institutions, it is highly possible that their billing office may be in another city or state. However, if you are dealing with a small local office, such as your primary care physician, there is a good chance that the billing is done onsite. Don’t be shy about showing up at the billing office and offering to pay on the spot with a credit card or cash. Explain that you showed up in person to pay your bill in full but are only able to afford 80% – you may be surprised at how many times you will receive the discount. A 20% discount is a reasonable request, and a good starting point for negotiating. Recently, I was faced with a $205 bill for blood work. It was not the largest medical bill I’ve received, but I figured it made sense to at least ask for a discount. After explaining my situation and requesting a 20% discount, the representative countered with a 15% discount if I immediately paid in full. It was an easy decision to make, as I accepted the offer and paid the entire bill at the reduced rate. There is a good chance that you are going to be declined the first time you request a discount. However, this does not mean you should give up – you simply need to change your negotiation strategy. If you can afford it, offer to pay with cash. With a cash payment there is no credit card fee or hassle – whatever you agree to pay is what the medical provider will receive, and most companies are hesitant to turn down instant cash flow. It is very frustrating to receive a large medical bill. The couple hundred dollars that I had to pay for blood work is nothing compared to the $10,000-plus bills that some people receive for specialized treatment. Remember, the billing office employees are only doing their job. They send bills and do their best to collect on them. There is no reason to take out your frustrations on the wrong person; instead, you should be friendly with everybody you speak to. Furthermore, don’t be afraid to share the details of your situation. Inform them that you are doing everything you can to get the bill paid, such as working with your insurance company (if you have one) or setting aside the necessary amount in your budget to pay the bill in full. If you are friendly and courteous, the person you are working with will likely do what they can to help. If you have top-of-the-line health insurance, you may never have to attempt to negotiate the price of health care. Unfortunately, there are roughly 50 million Americans with no health insurance whatsoever, as well as a large number with low quality healthcare plans. The next time you are faced with a daunting medical bill, use the three tips above to negotiate a better price on your medical bills. You may be surprised at how much you can save. Have you ever successfully negotiated a healthcare bill? What tips do you have for lowering the costs of medical bills? Several years ago, while working full-time in sales, I decided that I wanted to become a freelance writer. Like most people, I was worried about quitting my job and taking the leap. To play it safe, I began to take jobs on the side until I felt comfortable moving into this full-time. 1. Be willing to work long hours. There is no denying that you are going to be tired after an 8+ hour day at work. But remember, if you ever want to be in charge and own a business, you have to make sacrifices. For several months, I worked eight hours at my full-time job and then sat at the computer for at least four more. Fortunately, since I enjoy writing so much, the second part of my work day was not nearly as stressful. 2. Don’t let your performance suffer at your full-time position. You owe it to your employer to do your job well, even if you are thinking about leaving in the near future. Along with this, keep one thing in mind: you don’t know for sure that your side business is going to take off. For this reason, you may end up staying at your current job for longer than you thought. Don’t burn any bridges! 3. Get help. Even though this is something I avoided, since I was only starting a freelance writing business, most people will be able to take advantage of this benefit. If you have a partner, make sure to spread the work evenly, which will make it much easier for you to work two jobs. A partner also helps to speed up the startup process, meaning you can quit your full-time job sooner rather than later. 4. Create a business plan before getting started. Just because you are not working at your business full-time does not mean you should bounce around all over the place hoping for the best. If you are going to start a side business, you should be serious about staying on track and sticking with your game plan. 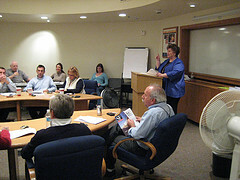 A business plan gives you direction from the start on everything from organizational structure to marketing strategies. You can also pinpoint exactly what goals you need to reach before you can quit your job. 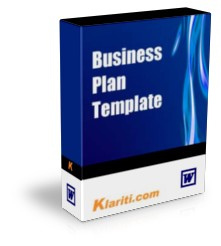 You can find sample business plans online at sites such as: Bplans and Small Business Information. 5. Set goals. How much money do you want to be earning by the end of the year? What type of revenue will allow you to feel comfortable leaving your current position? Setting some smaller, near-term goals will help you build up your confidence and momentum. Do you want to leave your full-time job within a couple of months? Within a couple of years? Goals will keep you motivated and moving forward, even when times get tough. These five tips should help you get well on your way towards achieving the dream of running your own business. Are you currently working on a side business? Have you made the leap to working on your own business full time? I’d love to hear your tips and thoughts on the subject!